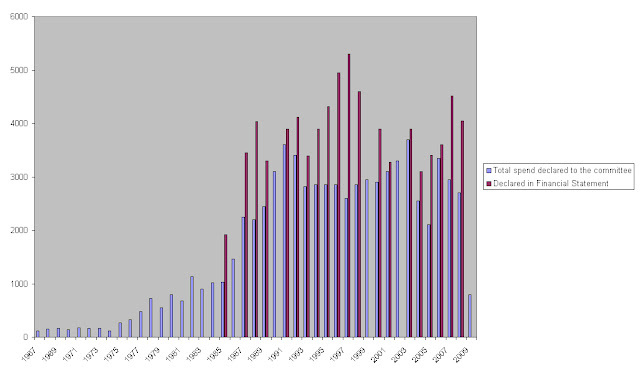 See below for the graphs of the petty cash spend of Enmore Spiritualist Church for the years of 1967 to 2009. 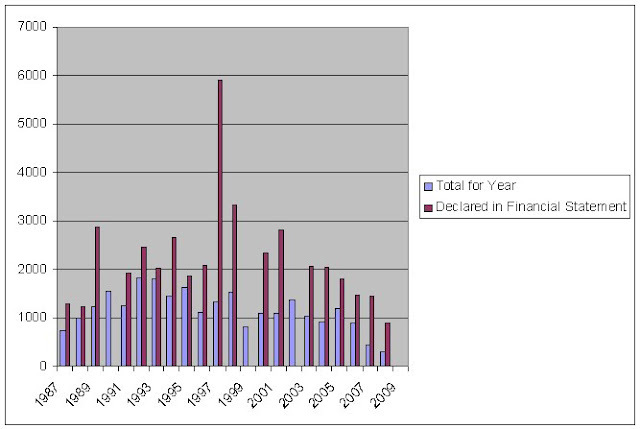 You will see that there is a discrepancy each year. The bar in light purple is the spend declared to the committee and the dark purple line is for the spend declared in the financials at the end of the year. There are little or no receipts for this expenditure. The same is true for the flower expenditure.